Savvy Spending: Carrabba's: B1G1 Free Lunch Entree coupon, valid through 12/7! 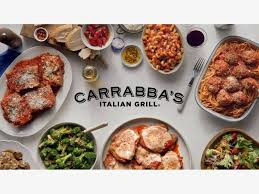 Carrabba's: B1G1 Free Lunch Entree coupon, valid through 12/7! Time for a lunch date! You can visit Carrabba’s and save with this new Buy One, Get One Free Lunch Entree coupon! Just print or show the offer on your mobile device. Valid through December 7, 2018.